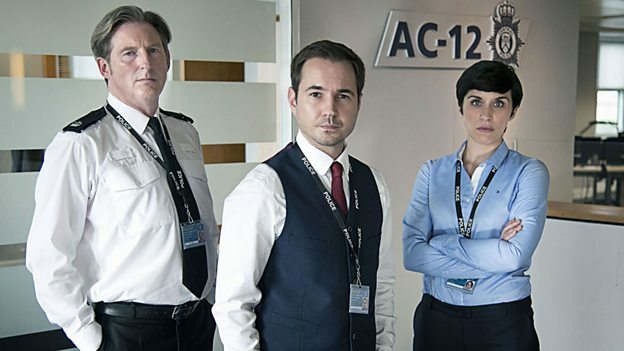 The BBC have announced the Jed Mercurio's brilliant Line of Duty will be moving from BBC Two to BBC One for its fourth run. Additionally the broadcaster has revealed that a fifth series of the gripping crime drama has also been commissioned. The third series of Line of Duty is BBC Two's highest rated drama series since the current measuring system began with the 90 minute finale garnering consolidated ratings of 5.6 million. Of the news BBC Controller of TV Channels Charlotte Moore said, "Line of Duty is original, bold, gripping drama that gets the nation talking and the time is right to bring the series to an even broader audience on BBC One. Jed Mecurio's explosive thriller will find a new home on BBC One for two more series and create room for new drama to flourish on BBC Two. Thanks to Jed, Simon Heath's World Productions, and Stephen Wright at the BBC for producing the record-breaking show." Mecurio added, "we've been overwhelmed by the extremely flattering response to series three. Much of the credit should go to our brilliant cast and crew and to Simon Heath and Priscilla Parish at World Productions. We're deeply grateful for the unstinting support we receive from Charlotte Moore, Stephen Wright and the whole BBC team. It's an immense privilege to be able to reward Line Of Duty fans with two more series on BBC One." It was announced last week that series four will begin shooting later this year with the drama likely to be back on air in 2017.